Hey, Annie. Yeah, I found ’em all. I have pictures of several bigger (but more worn, or chipped) teeth to add to my “booty” section — if I can get my camera to work. Laughing out loud at this, Annie. I don’t think I’d seen it before. Nice teeth you’ve found there! 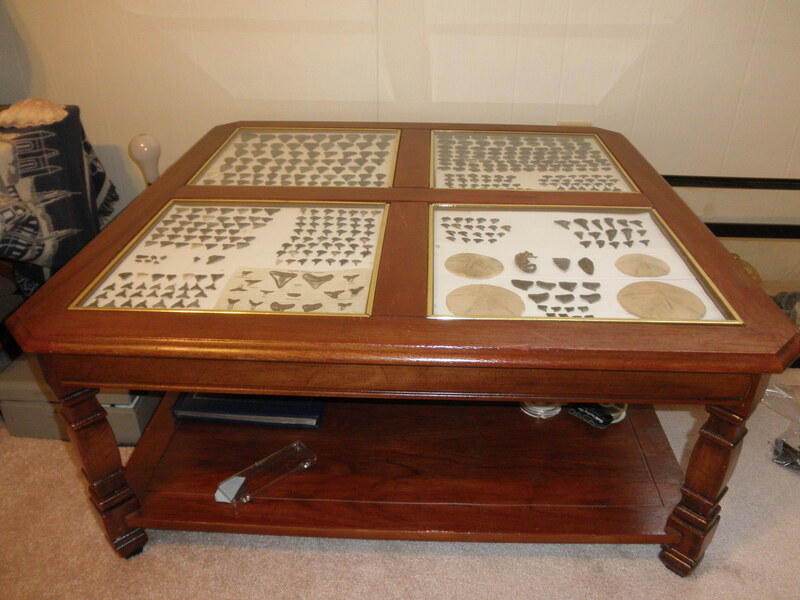 I’m fascinated by the Cretaceous teeth in your collection – squalicorax, cretolamna etc. 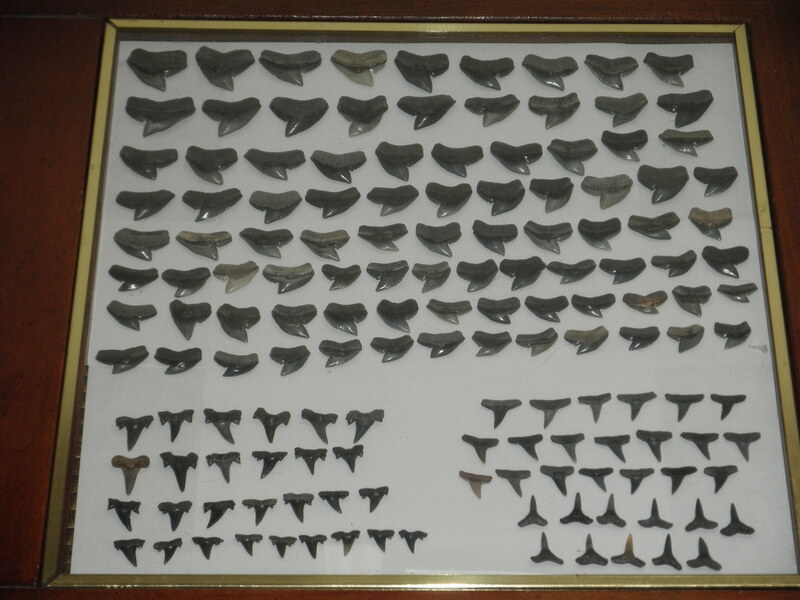 Myrtle Beach seems to be one of the only places in the state to find shark teeth that old. There are other East Coast spots with Cretaceous material (Green Mill Run, NC or Shark River, NJ come to mind) but to have it so evenly dispersed among material from the Eocene to Pliocene is exceedingly rare. 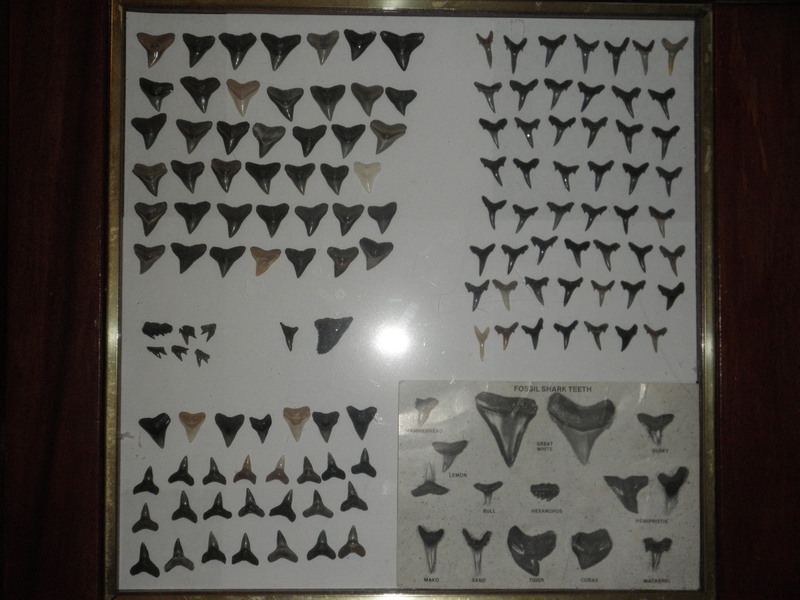 Perhaps you’d be interested in trading beach-hunting charters – I’m based out of Charleston, but would happily make the trip for fossils. I find a good bit of material in the harbor here, and tend to hunt several times a week. Just an idea. Regardless, I’m going to have to spend some time on a MB beach before too long. Hey Cade. My apologies for taking so much time to reply to you. I’m just getting re-organized after my computer froze for a half week. Thanks for the compliment regarding the sharks’ teeth. Within a few weeks, I plan on posting new photos. 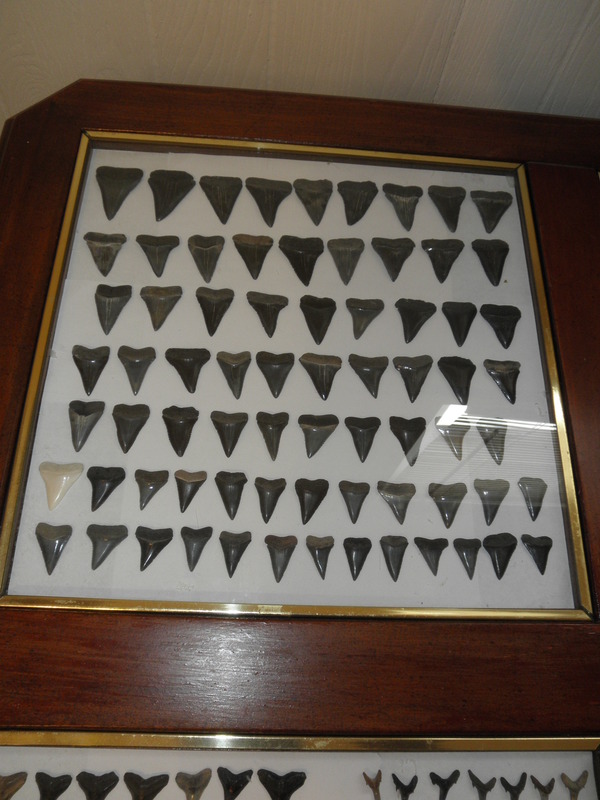 The originals didn’t include a few of my bigger teeth and I’ve recently put some in different display boxes. Isn’t hunting fossils great! I’m absolutely obsessed and I’d love to get together sometime to hunt together. I keep up with the tide charts here in Myrtle Beach ’cause timing is everything as far as success goes. Go to early or too late and everything has been combed through. Flying to PA to visit kin and friends in late December then will be busy with blogs through January, but we’ll have to stay in touch and get together sometime. To me, sharing is an important facet in the hobby. Got to run. The tide is ebbing right now. Laughing out loud. Sorry again for the delay in responding. I usually try to keep up with comments every day. Peace and highest regards to a fellow fossil enthusiast. Let’s keep in touch. So your name is Rob! Miss ellie, I’m praying on the beach this morning for your mother and for you, and I hope for both of you that this won’t be the last time you see each other. As my mother recently reminded me, every day is a sunrise. I say that because I find that broken hearts never heal completely. They heal one atom at a time with each day. One atom with each piece we write. I carry with me guilt over having not appropriately shown my appreciation to my mother in the past. Or my late father, for that matter. I tended used to hold my emotions inside. Now I let them go after due consideration. Hence, my self-confessional writing style. I enjoy all your writing in much the same way I enjoyed WORLD’S WAY. My few, devoted and beloved readers would do themselves a favor by clicking your link. Your words – like those of several WordPress writers and philosophers — help me heal. Thanks so much for your compliments. Everyone needs that kind of encouragement. Istanbul. Wow. I can only dream.